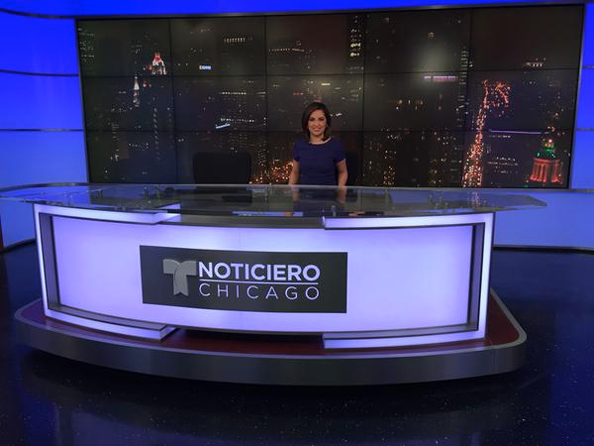 Chicago’s Telemundo affiliate, WSNS-TV, recently launched a new set designed by Jack Morton PDG and built by blackwalnut. 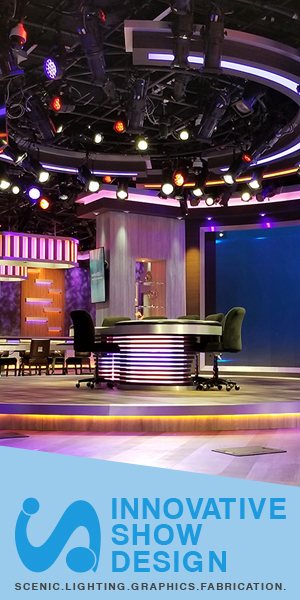 The simple set features backlit walls, a 5×3 video wall and internally-lit anchor desk fronted with a monochromic rendition of the station’s logo. WSNS-TV broadcasts from sister station (and fellow NBC O&O) WMAQ-TV’s NBC Tower studios. The set is similar to Telemundo Miami and Dallas, which both received sets by Jack Morton PDG.